ST. ALBANS, Queens (WABC) -- Members of the NYPD spent $40 to save the life of a kid with a beard. And by kid, we mean a baby goat. 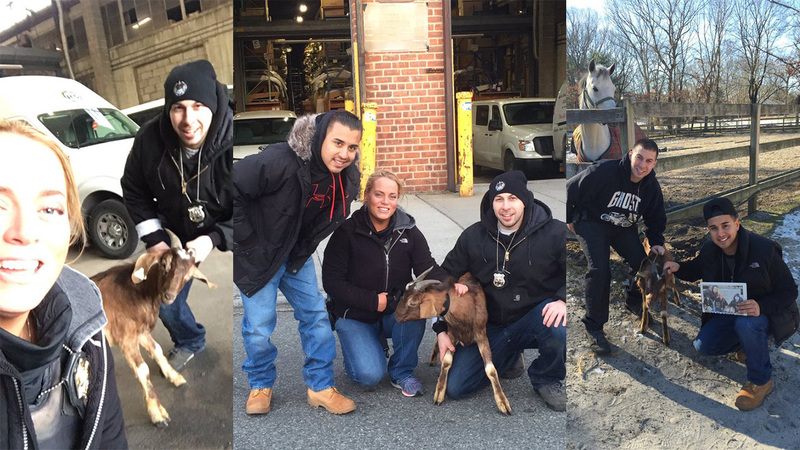 The animal was caught running around the streets of St. Albans, Queens, earlier this week after escaping a slaughterhouse. After learning it was on track to be killed, officers with the 103rd Precinct paid the owners $40 to spare its life. The goat is now living a happy life at an animal sanctuary in Suffolk County. The officers have said it was the best $40 they've ever spent.